Revit : What are mergered collinear lines? 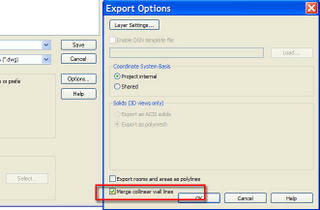 Well I wonder this, as it is a new feature in Revit 8.1; the ability to merger collinear wall lines in DWG/DXF exports. 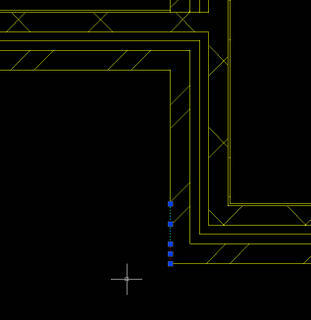 In previous releases of Revit if you exported a number of walls to DWG/DXF, often you would find that extra lines appeared to make up the wall length. Refer to the Autocad screen image below. The new merger collinear wall line function, found in the DWG/DXF export options, will create a single line where several walls would normally generate a series of shorter lines of the same line weight and layer. This new functionality will create far cleaner DWG/DXF exports.